When children without disabilities visit a typical playground, they see what’s possible. When viewed through the eyes of a child with a disability, he or she sees what isn’t possible on that same playground. 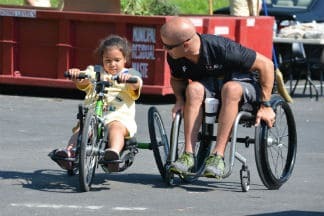 “Our eyes must be opened to see a world that often fails to accommodate the disabled,” says Chris Kaag, Founder and Executive Director of the Wyomissing-based IM ABLE Foundation. 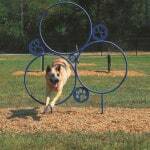 IM ABLE promotes physical and mental activities and funds adaptive equipment grants for children with disabilities. Chris believes that playgrounds should be places where children can have the childhood he enjoyed before a degenerative nerve condition robbed him of his mobility in his early 20s. Fifteen years later, the former Marine credits his disability with opening his eyes to that world. 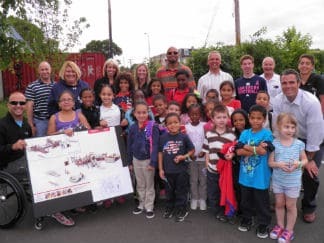 When Chris met Modesto Fiume, president of Reading-based Opportunity House, Modesto was working on a new playground to add to another play area for five to 12-year olds. 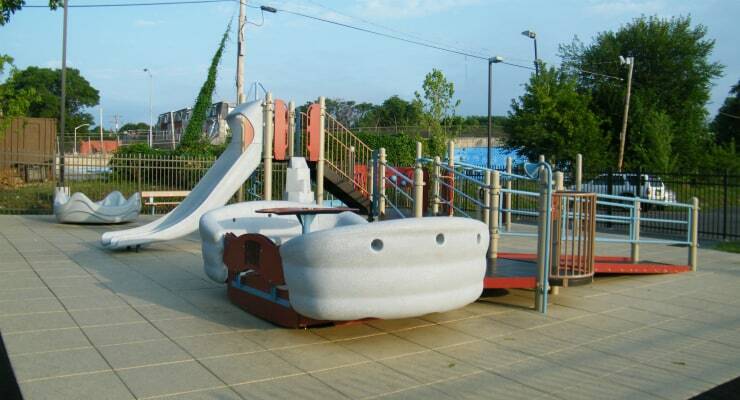 Twelve years earlier, General Recreation had helped the organization build a playground for pre-school aged children. “The Backyard” playground rounds out an expanding campus that includes a homeless shelter, technology center, community garden, picnic area, and gym. “When Chris proposed the concept to make the playground inclusive and adaptive, it made sense,” explains Modesto. “Based on studies done in our area, there are more than 200,000 children w ith various physical or learning disabilities. 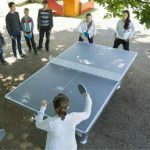 80 percent of the children are not active.” “We wanted to reach them, as well as able-bodied children who didn’t have a safe place to play,” adds Chris. 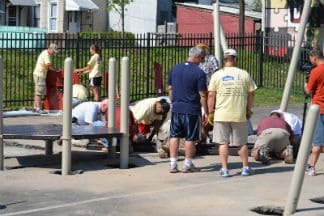 “The Backyard” playground was installed on June 23 with the financial and physical efforts of IM ABLE Foundation, Gilmore/Henne Community Fund, Berks Youth in Action and Opportunity House. Berks Youth in Action (BYIA), a group of high school students from three local schools raised $65,000 for the playground through special events like dances and corporate sponsorships. “We got involved when we approached IM ABLE and decided to partner with them. 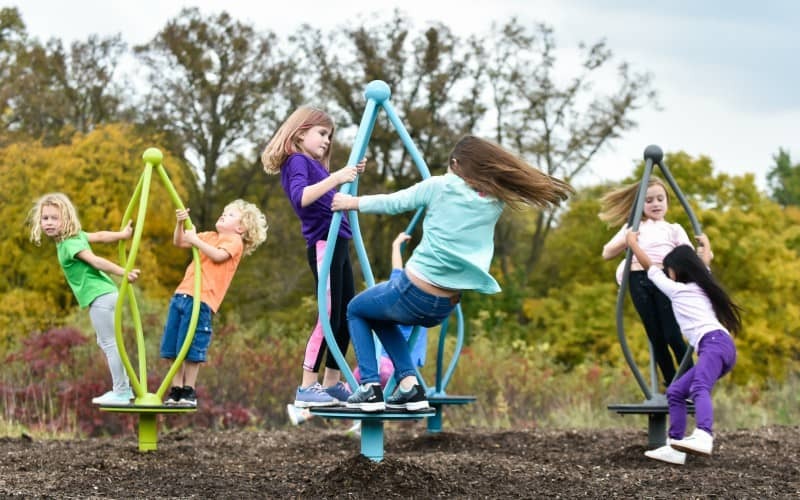 Never did we think we’d be so successful and able to build such an amazing playground,” says Betsy Finneran, a BYIA coordinator. 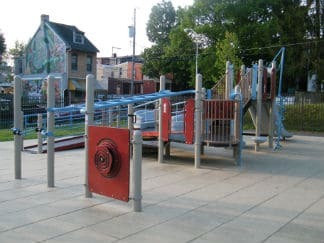 Christine Anderton, Executive Director of the Gilmore/Henne Community Fund, whose mission is to maintain, and now create, safe, clean playgrounds for children, coordinated the one-day Community Build that included more than 400 volunteers. 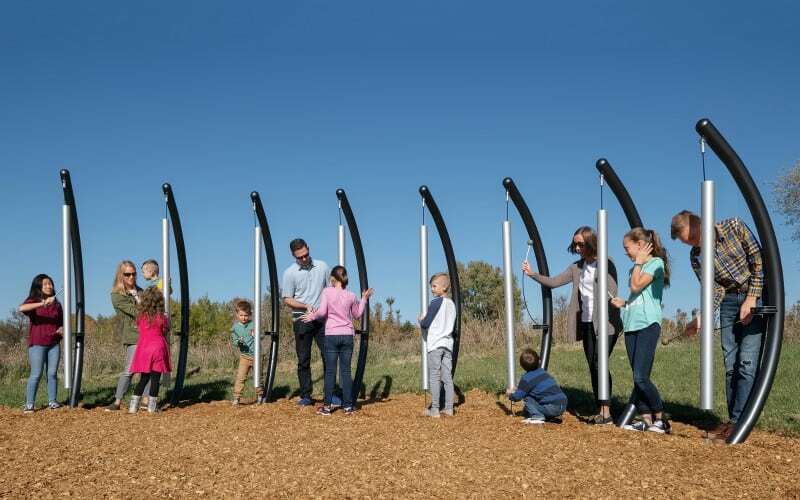 “Typically, we revitalize existing playgrounds, however we were really excited to work on a new playground, particularly because of the accessibility focus of it,” she explains. During the Community-Build day, Jacksonville Jaguars quarterback Chad Henne, who co-founded the Gilmore/Henne Community Fund with fellow recently retired NFL player and former Wilson High School star John Gilmore, returned to Berks County to help. “That day was remarkable. We were really impressed with the way the Gilmore/Henne Community Fund organized it,” remembers Chris. The project’s adaptive design is the first of its kind in Berks County. 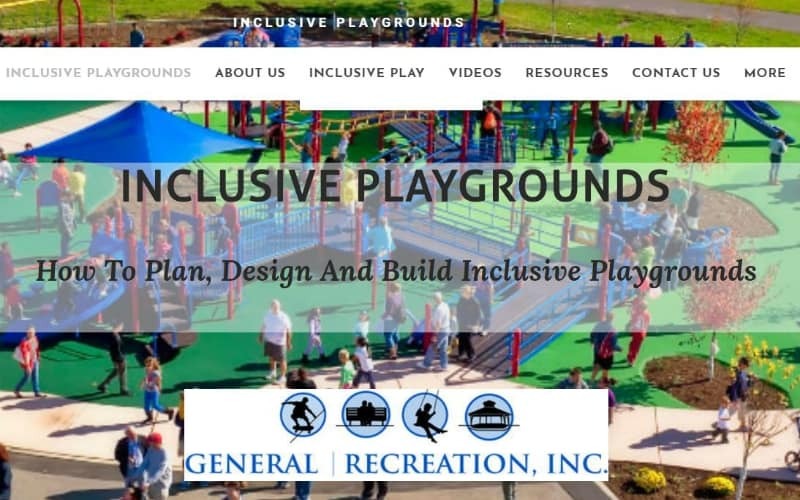 Complete with ramps, wheelchair-accessible structures, and inclusive sensory play events, the playground was designed by Andy Cush of General Recreation. “The kids won’t notice [the design],” said Chris, “But the kids with disabilities will. “Picking the site location on campus was important,” explains Modesto. 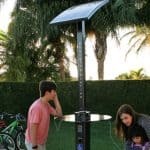 “Andy helped us decide to place it in an existing parking lot. It was flat so no steps or elevation change was needed to make it accessible. Andy knew what would and wouldn’t work in the design. He made everything run smoothly.” “Andy had everyone’s best interests at heart and was willing to do whatever it took. We loved working with him,” adds Christine. 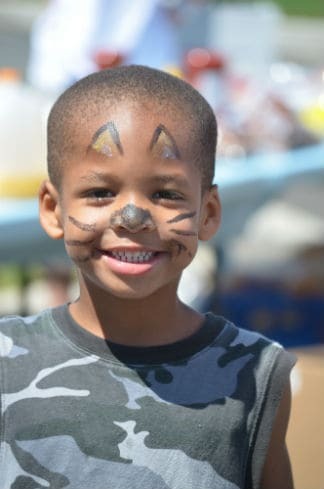 On July 28, the various partners and community celebrated the Backyard’s ribbon cutting ceremony, along with an IM ABLE “Get Up and Move Day.” With the tagline, “No excuses. 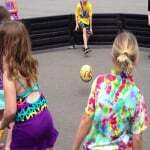 Just move,” this special event was geared for physically and mentally disabled children in Berks County. “This is a great example of non-profits coming together to improve the community. Great things happen! Our impact is stronger working together than individually,” says Modesto.